lil chung's lil adventures: Chicago Cupcake Hunt---COMPLETE! Summer job complete. Moved out of the city. In suburbs with family for sista's wedding week. This only means time to ponder on the past ten weeks of my Cupcake Hunt. I can't believe it, but I actually made it to all of the places I set out to go to. 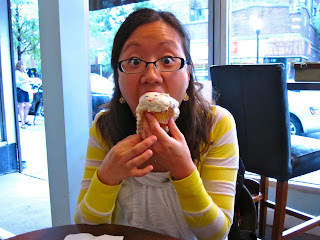 AND I was able to visit a few more places for a grand total of 15 cupcakeries this summer in Chicago. OMG! 1. After a few weeks, I eventually learned after one bite if a cupcake was good. 3. Good frosting does not mask a bad cake. 4. Bad frosting can ruin a good cake. 5. Cupcakes can be a lil pricey. 8. Around Week 5, I finally learned how to use the Macro setting on my camera. Thanks, Derek! Best Ambiance: Molly's Cupcakes, I mean, you can't beat swings at the bar! Most Expensive Cupcake: A 3-way tie. 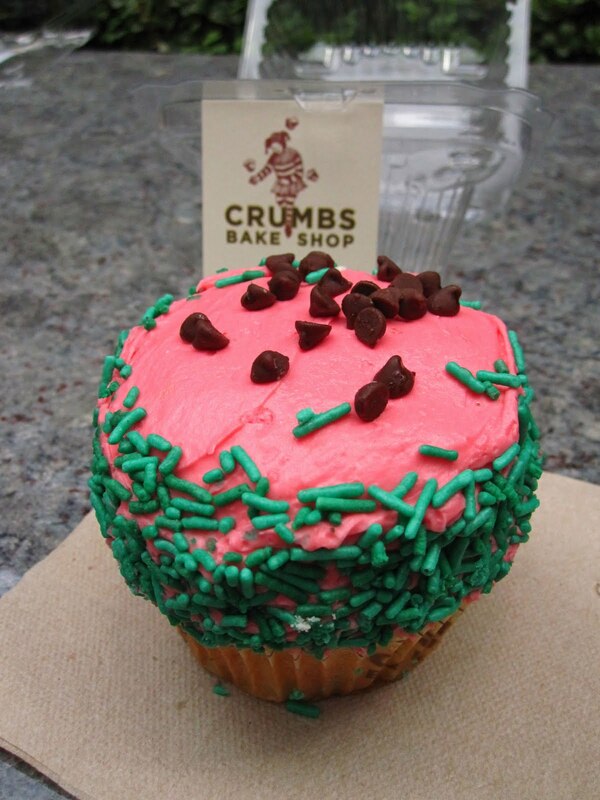 Molly's Cupcakes, Marla's Sweet Bites & Crumbs Bake Shop all priced at $3.75. However, Marla's and Crumb's cupcakes were quite large so in terms of quantity per price, Molly's Cupcakes is the most expensive cupcake. 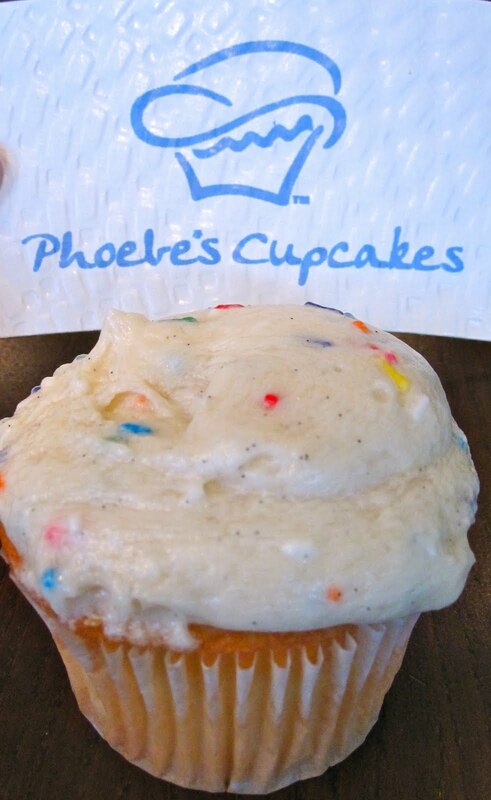 Cheapest Cupcake: Deerfields Bakery cupcakes are priced at the whopping price of $1.79. 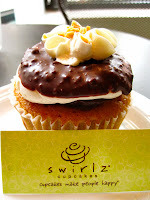 I actually went today for some coffee + danish and scoped out the cupcakes and saw more variety at the BG location. I was ALMOST tempted to buy one but remembered how unfabulous the banana cupcake was from there. Worst Cupcake: 2-way tie again but both from Bleeding Heart Bakery. Sorry but those Lemon Rosemary and Blueberry Basil cupcakes were dry, topped with too sweet and dry frosting, and overall just did not have a good flavor. Best Cupcake of the Summer: Snickerdoodle at Sweet Mandy B's. 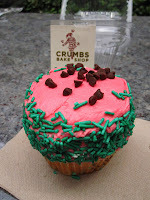 I initially thought it would be Sprinkles but the more I thought about it, I just couldn't put down this cupcake. I wasn't even in the mood to eat it but I couldn't resist. A cupcake to overcome lack of desire to eat it has to be an amazing cupcake. The frosting was unbelievably tasty too which topped a moist, delicious cinnamon cake and it was priced at a great deal of $2.25! Yay for Sweet Mandy B's! And so comes a close to the summer and to the Cupcake Hunt in Chicago. 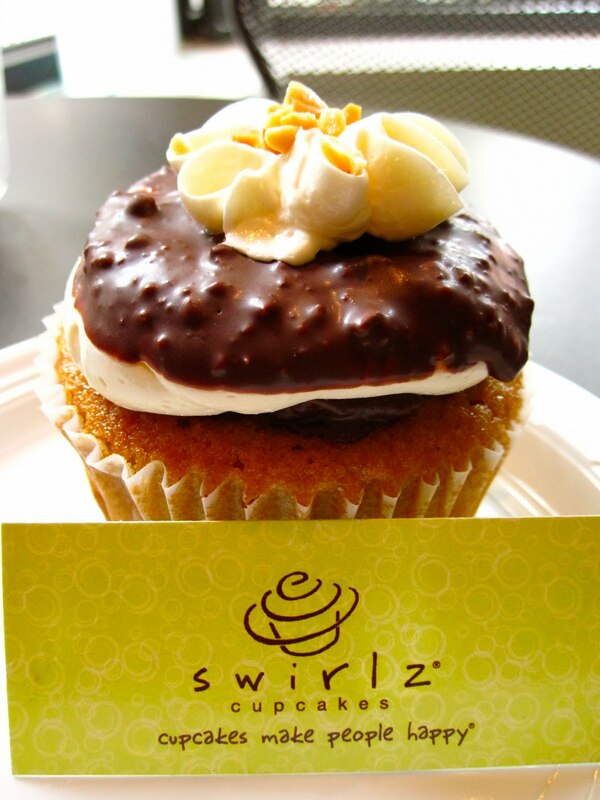 I'll continue eating cupcakes at the many trendy cupcakeries around. But really, I can't wait to get back to a kitchen I can call mine and bake some cupcakes! Thanks to the Partner-in Crime for being my sidekick to 3 cupcakeries, Val for accompanying me to Bleeding Heart Bakery when it was balls hot out, Jon, Jared, Sunny, Jeannette, & Twin Sista for also eating cupcakes with me. 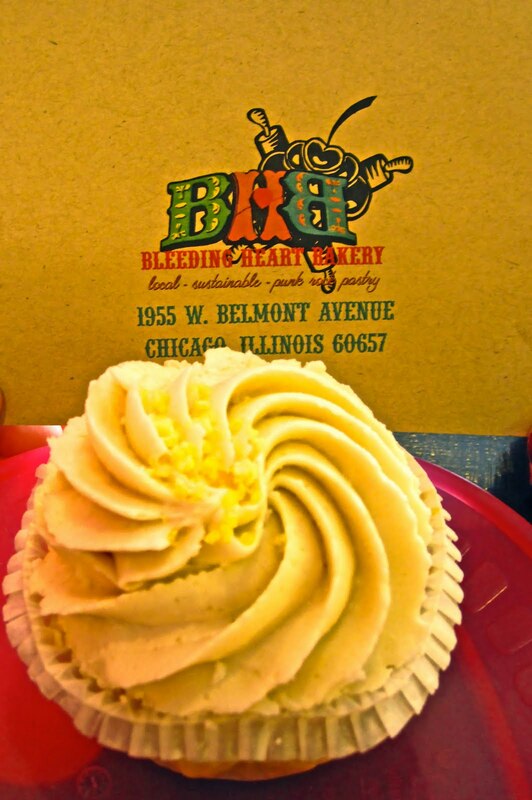 Special Thanks to Chicago for housing so many yummy cupcakes! Lemon Rosemary Cupcake sounds fantastic! If anyone could make it work it's you Alison! send me one when you make it :) or maybe I'll come to Chicago for a cupcake taste! I'm glad I could take part in your Chungtastic Cupcake Glory!!! Best of luck to you my little Chung!!! Work it!! !